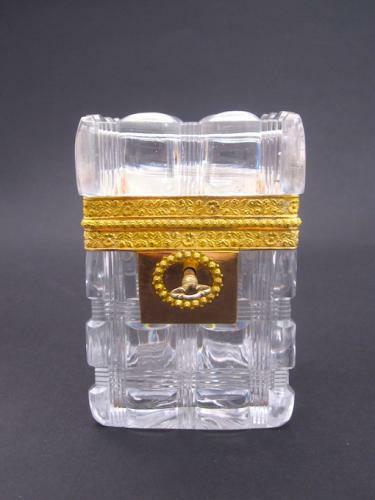 Antique BACCARAT Charles X Cut Crystal Jewellery Casket Box Decorated with Geometrical Patterns and Gilt Broze Mounts. The Gilt Bronze Mounts are Exquisitely Sculpted with Delicate Small Flowers. The Key Hole is Embellished with a Garland of Beads.